Evan W. Dixon, MD, is the director of Cardiac Rehabilitation at Martha Morehouse Medical Plaza and an assistant professor of clinical medicine at The Ohio State University Wexner Medical Center. Dr. Dixon earned his medical degree and completed his residency at The Ohio State University College of Medicine, as well as completed fellowships in both pulmonary disease and cardiology at Ohio State’s College of Medicine. Dr. Dixon is a veteran of the U.S. Army (Retired Colonel) and has received multiple Army Commendation Medals and a Distinguished Service Medal for his service. He is an honor graduate from the U.S. Army Command and General Staff College. Dr. Dixon was also honored with the Distinguished Medical Alumnus Award from The Ohio State University. 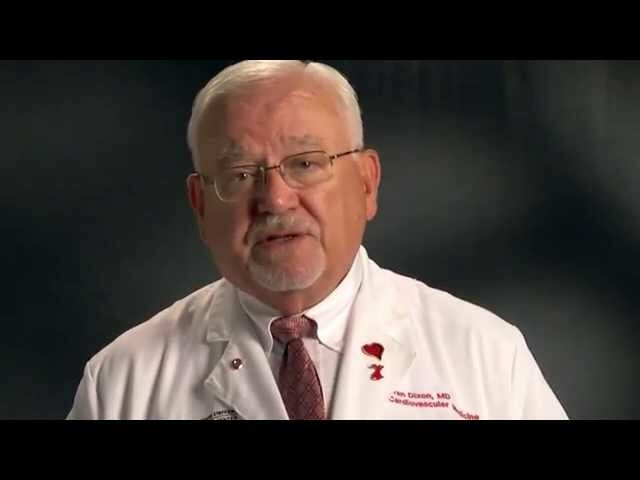 Dr. Dixon is a member of many professional societies, including the American Heart Association, the American Society of Echocardiography and the Ohio State Medical Association. His special interests are clinical cardiology, especially preventive cardiology, as well as participation in cardiovascular administrative strategy. Intuitive, compassionate, excellent communication. Great sense of humor and sees the larger picture. He absolutely treats the whole patient. I feel lucky to be working with him, and trust his medical expertise. Excellent, very professional, courteous, above & beyond expectations. Dr. Dixon has always been very informative and concerned about my health. I enjoy our visits and his friendliness. Carefully reviewed my records, tests, and medications. Thoroughly discussed and made recommendations. Excellent clinician. Very good listener. Knew exactly what we needed to talk about. This was the first time to see Dr. Dixon since my former doctor had retired. Professional and asked questions about my overall health, etc. He has a wonderful mannerism and spirit about him. Dr. Dixon was amazing! He provide me with the best of care in spite of he fact that his schedule had been so hectic! Exceptional! Dr. Dixon was really nice and showed concern for my condition. He also didn't take himself so serious as most doctors. His humors manor put me at ease and made it easy for me to talk to him.